For the next three years, the hugely popular FIRST Robotics competition will be held in Detroit. 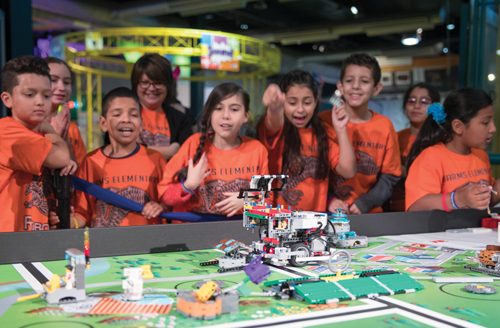 For four days in late April, tens of thousands of future electrical, manufacturing, mechanical, and software engineers from around the world will descend on Cobo Center in downtown Detroit. 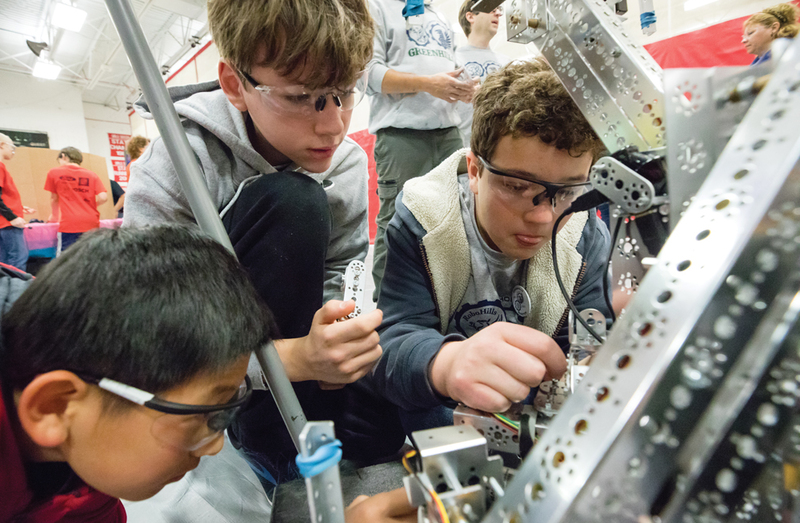 As members of 400 high school robotics teams, they will compete alongside and against each other to determine a FIRST Robotics world champion alliance. Here’s how it works: In January, each team receives a base kit of parts which students and their mentor engineers use to build a robot over a six-week period. The robot is required to complete a certain task, such as lifting a heavy ball and throwing it into an elevated rim. The competition changes each year. Each kit costs around $6,000, and teams can spend another $3,500 to outfit their robot. The amount of money for the upgrades is limited to prevent teams from buying their way to a win. In choosing Detroit as a world stage for the next three years, FIRST is making its premier event accessible to its most active state, home to 509 teams and 27,500 student participants. Between 80 and 90 Michigan teams are expected to qualify for the April 25-28 competition, says FIRST President Don Bossi. Another world championship is held a week earlier in Houston. 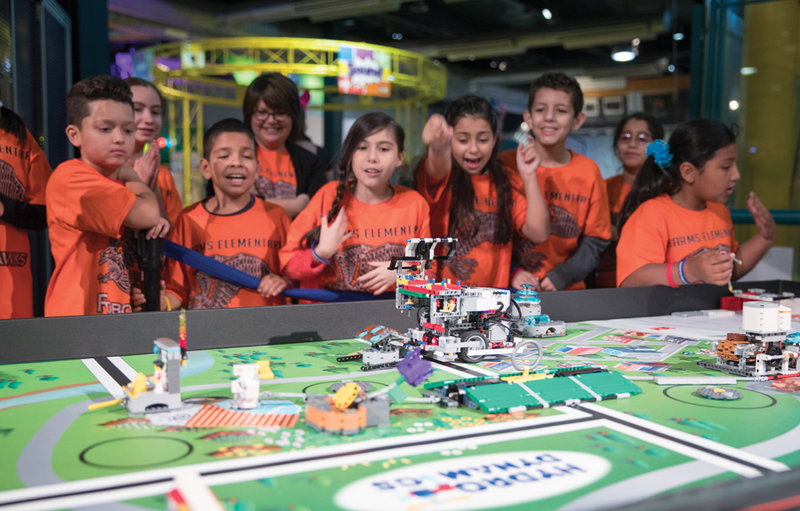 Students from around the world will compete in the FIRST Robotics competition at Cobo Center in Detroit from April 25-28. 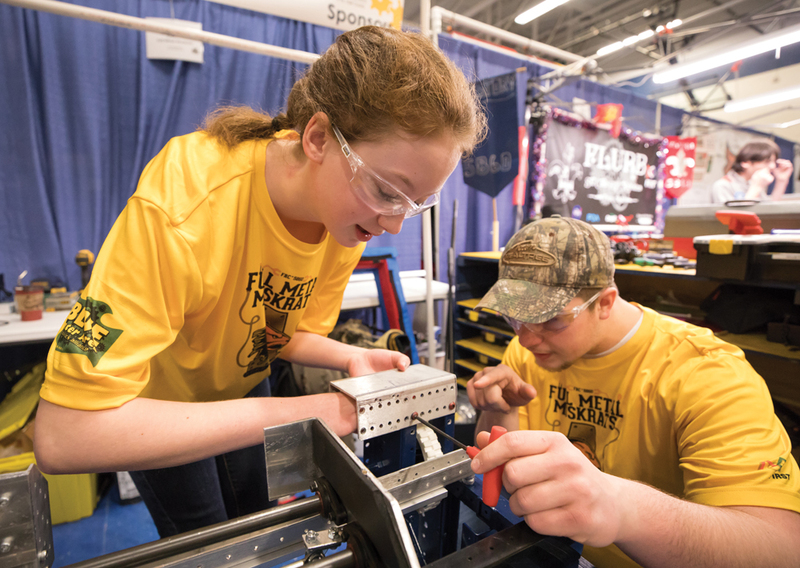 Companies like General Motors Co. provide mentor engineers and sponsor dozens of teams. Already well-established, FIRST’s popularity has exploded in Michigan since 2012 when Gov. Rick Snyder attended the state competition. The self-described “one tough nerd” watched the matches and toured the pit areas, shaking hands with students — some so task-focused they didn’t look up to see who was there. “On his way home the governor called and asked us to come to Lansing,” recalls Tom Stephens, former vice chairman of General Motors Co. and a longtime FIRST mentor. “He wanted to know how to become more involved.” Since then, the state has provided $12 million to startup teams in public schools and others needing financial help. FIRST, or For Inspiration and Recognition of Science and Technology, was founded in 1989 by engineer and businessman Dean Kamen, inventor of the Segway self-balancing scooter and a host of medical devices including portable dialysis machines and insulin pumps.